The story of Real Alternative (free) is one you may have heard before. 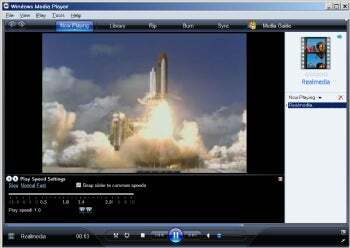 Once upon a time, the only way to play RealMedia files was to download the free or pay RealPlayer and install it. This wouldn't have been so bad if RealNetworks hadn't made such a fuss about selling you a more capable version or constantly reinserting itself into the boot chain and system tray. Even worse, at one point the RealPlayer proved vulnerable to files that would open your browser and send you to a Web site--and exceedingly dangerous behavior. WMP can play a RealMedia video using the Real Alternative codec. All of this proved too much for too many users, and the RealMedia codecs have slipped mightily in popularity. That said, you still run across the occasional .rm or .ra file--and if you want to play them in your browser or WMP and many other popular media players without installing the Real Player, you'll want the Real Alternative codec. I've been using Real Alternative for years. It works well and is 100% transparent, that is, it doesn't bug you about anything, ever. It just registers itself as a DirectShow filter (Microsoft-speak for a codec) and with your browsers, then decodes virtually any Real Media file ever created. It's good enough that I haven't even considered installing RealPlayer in years.